yesterday was my birthday and if there had been a cake there would have been too many candles to blow out... i'd planned a post for today about looking back on 35 years of bits and pieces but somewhere between been taken out for lunch + dinner, having massages, taking an extra long weekend and generally been a lady of leisure i forgot to gather a couple of photos for the post so it'll have to wait until next week. 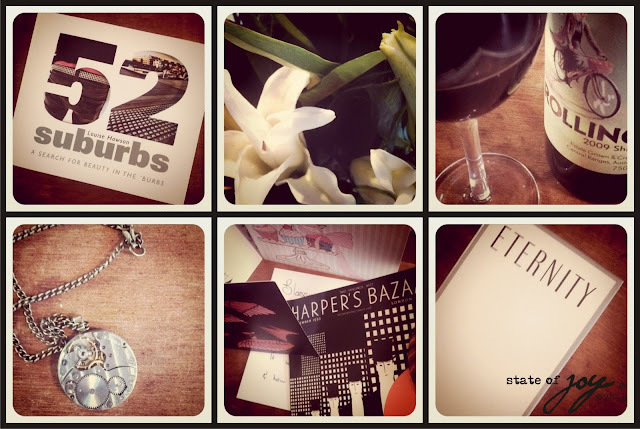 so instead i've decided to share a few images of gifts from my beautiful bunch of friends and family. thank you for making turning XXXV enjoyable. glass of red anyone...?